Dr. R. L, Kashyap is Professor Emeritus of Electrical and Computer Engineering at Purdue University, Lafayette, Indiana in USA. He had his Master’s degree from Indian Institute of Science, l3engaluru and obtained Ph.D. from Harvard University. He is the recipient of many International awards. In 2003 he has received ‘Vedänga Vidvan’ award institited by Maharshi Sandipani VedavidyA Pritihthän (Ujjain), an autonomous body of HRD, Govt. of India. 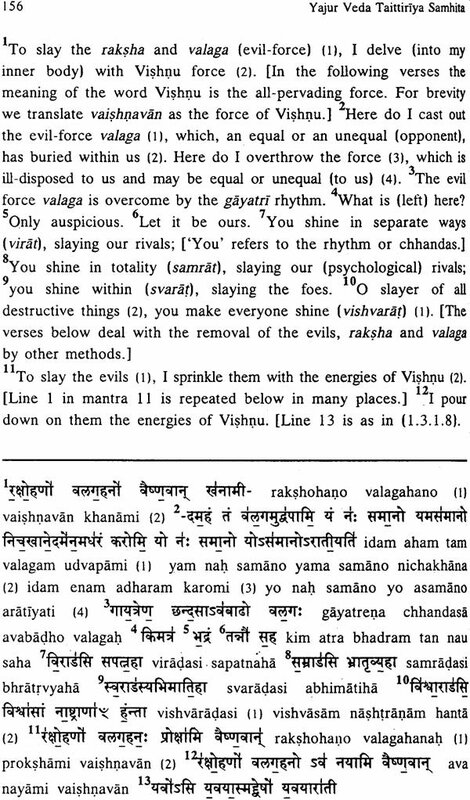 H has written extensively on Veda. Some of his widely read books on Veda are : ‘Rig Veda Samhita’ (12 Volumes), ‘Säma Veda’ (2 Volumesb ‘WhyRead Rig Veda’, ‘Rudra mantra-s’, Essentials of Rig Veda’, ‘Essentials of Yajur Veda’, ‘Essentials of Sama Veda’, ‘Work, Enjoyment & Progress’. He is the Honorary Director of Sri Aurobindo Kapâli Sastry Institute f Vedic Culture, Bengaluru. 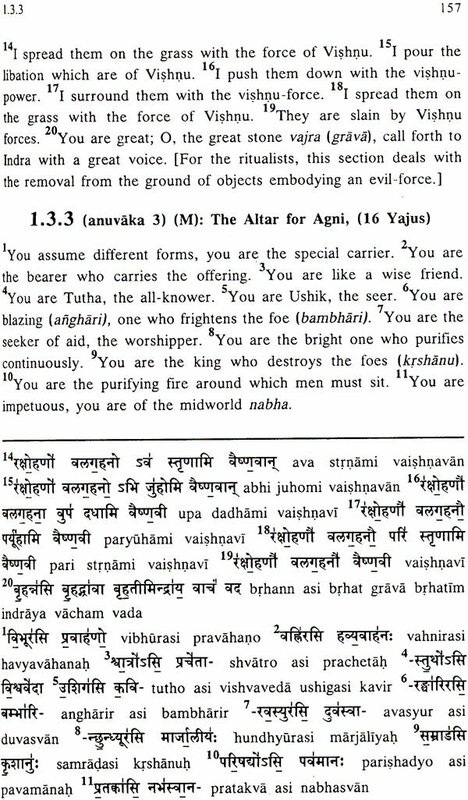 I am happy to present here the text and translation of Yajur Veda, Taittiriya Samhita, Kända one. The other 6 Kända-s are available in the other volumes, two, three and four. My aim is to bring out the spiritual and psychological wisdom contained in the 1346 mantra-s of this Kanda. The main source for my work is the essays of Sri Aurobindo on the inner yajna in the Veda and his translations of the Rig Veda mantra-s. The luminous essays of T.V. Kapali Sästry have been very useful. 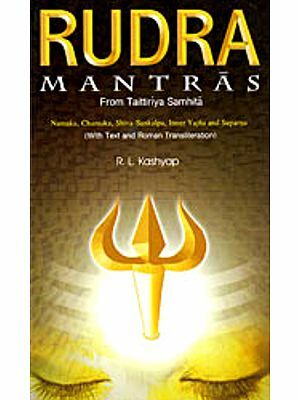 This book has also some prose passages known as Brahmapa-s, dealing with ritualistic explanations of mantras, legends and other topics. In translating these prose passages, I have utilized the English translation of A.B. Keith and the Sanskrit commentaries of Sdyaia and Bhatta Bhäskara. Rangapriya Sripda Sri Sri, Siddheshwara Swãmiji, the eminent Western scholar and spiritual aspirant Sri Rand Hicks and Professor S.K. Ramachandra Rao. SAKSI trustees and myself offer our profuse thanks to Smt. Laxmi N. Kamath, Udupi for sponsoring the printing cost of this book. We pray to the Veda Purusha for granting excellent health and allaround happiness to the Kamath family. My profuse thanks to the staff of SAKS) for patiently handling the numerous manuscript versions of this work. Thanks to the printer Sri Balakrishna for his cooperation in all stages of the work. Finally my thanks to the readers of the SAKSI books for their continuous encouragement and support. (1) There is a persistent confusion in the minds not only of ideologists but also of the students of Indian culture in general about the correct interpretations of the Vedic passages dealing with animal sacrifice. Such passages occur not so frequently in the Rig Veda Samhitã as in the Brãhmaria texts; and this is natural because the Brãhmana-texts focus their attention on rituals (karma kãntla). Rituals are of numerous types and some of them accept or prescribe violent practices like killing animals and offering parts of the slain animal as offerings (pashum ãlabheta). 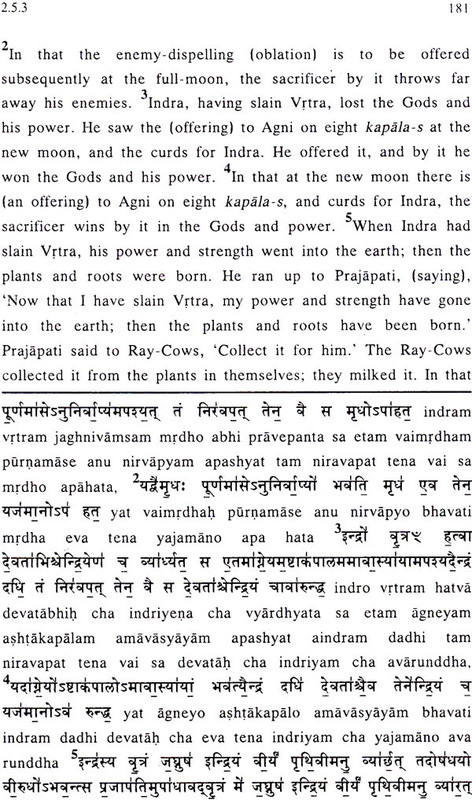 Some interpreters like Sayaiia, who reconcile themselves to animal sacrifices as Vedic rituals, are inclined to take the passages to mean exactly what they say, despite the general tenor of the Rig Veda respecting all life and condemning violence of any kind to animals (na himsyat sarvä bhutãni). Those who regard themselves as orthodox take Sayana as a reliable authority in Vedic matters. The wise folk are disinclined to swallow what is apparent; they would rather get at the hidden, the mystical, the real meaning. The Veda is after all a book of mysteries. It emphasizes the distinction between appearance and reality. Sayaria has altogether ignored this; he hangs on to what appears on the surface. 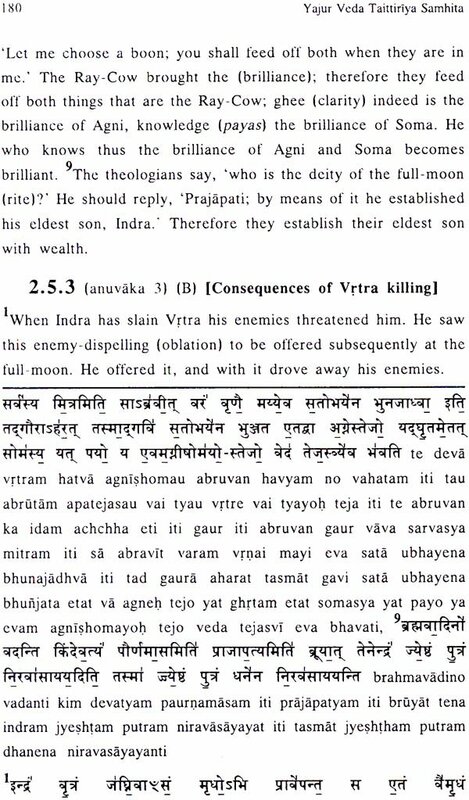 Pundits after him (he lived in the fourteenth century) have followed his line of thought, as if they are as authentic as the Veda-s themselves! They have led ideologists astray, and kept the common people in darkness about the true significance of the Vedic Corpus. Acharya Ananda-trrtha (Madhva-charya) in the thirteenth century struck the right note in his Rig Bhahya when he pointed out that the Vedic passages have three meanings: the common meaning referring to Gods (adhidaivika), the ritualistic import (adhi-yajfla) and more importantly the esoteric meaning (adhytmika). The great yogis Swami Raghavendra-tirtha elaborated the last of these in his Mantrartha-manjari. In recent times, it was Sri Aurobindo who insisted that the Veda is essentially a mystical text, elaborately spiritual in its connotation. His disciple, Kapli Sastry, undertook to write a commentary on the Rig Veda, highlighting the secret meanings of the Vedic passages. His attention was confined to Rig Veda Samhita. Following his lead, Dr. R.L. Kashyap, who is well-known for his work popularising Kapäli Sastry’s contributions, has now turned his attention to applying the same methodology to other areas of the Vedic Corpus. He has brought out in English a spiritual and mystical interpretation of Taittiriya Samhitã, belonging to Krishna Yajur Veda division. This is an important undertaking, pioneering and educative. This text is distinguished by its predominant ritualistic involvement. It is well-known among the adherents of the Karma Kända section of the Vedic protagonists; and is extensively relied upon by the priestly class, responsible for rituals of all sorts, including animal-sacrifices. It is therefore very difficult to provide mystical meanings for ritual prescriptions. Dr. Kashyap has understandably an uphill task to perform, and we are glad that he has accomplished his mission exceedingly well. It is by no means easy to turn the orthodox attention away from the ritualistic framework. The conservatives are ill-disposed towards; tical overtones; they even took at devotion with suspicion. They stick doggedly to the time-honored rituals, even if they are thoroughly incompatible with lay-life and changing times.